Posted in Bruce Damer, Consciousness, Creativity, Culture, Death, DMT, Evolution, Future, Imagination, Psychedelics, Terence McKenna (mp3). Half-way through this great podcast . . . savoring it a bit. I just finished both Crescendo episodes, and they were great, too. Thanks for introducing me to Damer! Absolutely great podcast! Thanks for sharing it. Great podcast. Sorry to hear of your brother. Nice that you are in a position to leave a memory for him. Wonderful music. I got the spirit! You’re a good brother, Lorenzo! I´m so sorry for your loss! I just want to express my simpathy and give you a felt and warm hug. 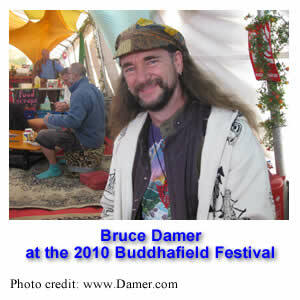 PS:I didn´t know that Bruce Damer was such a good speaker! DMT has not been demonstrated to be produced by the pineal gland. I am disappointed that Damer would perpetuate that incorrect fact. Just heard on your last podcast of your brother’s passing. You know we’ve never met, …but I’ve also come to think of you as part of a bigger family. What a great labour. What a great guy. What a great legacy. I just wanted to say how sorry I am to hear of your brother’s passing. My brother and I have been listening to your podcast for about half a year now and we both come to think of you as family, so hearing about your brother was really saddening. Any perception that one has achieved something or that one has become a different person upon the death of the ego is an indication that the ego has not really died.